Being that it is Black Friday, some of us (i.e. those who don’t wait until December 24) are well on our way to making our Christmas shopping lists now that Thanksgiving has cleared and we are starting to be able to button our pants again. We would never forget that bottle of wine for Grandpa, that baking set for Mom, and that fancy watch for our boyfriend(s)… but what about the traveler in our lives? Buying gifts for travelers isn’t very easy, mostly because those who are travel-happy tend to operate on the same t-shirt and jeans for multiple days at a time and are grateful to have a bar of soap for the next destination. However, get them something they don’t know yet that they want this here. Here are some of the coolest travel gadgets to score before December 25. 1. Scratch Map, $20 is a poster map for the wall in which you scratch off each country you have visited to reveal a rainbow beneath. 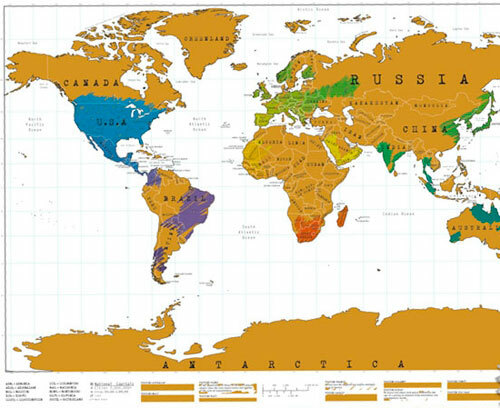 Also hidden under the scratched off countries is geography trivia. 2. Water Bobble, $10 is a reusable, self-filtering stylish water bobble that is great for avoiding those pesky tap water table charges in Europe if you’re good at sneaking off to the bathroom unnoticed. 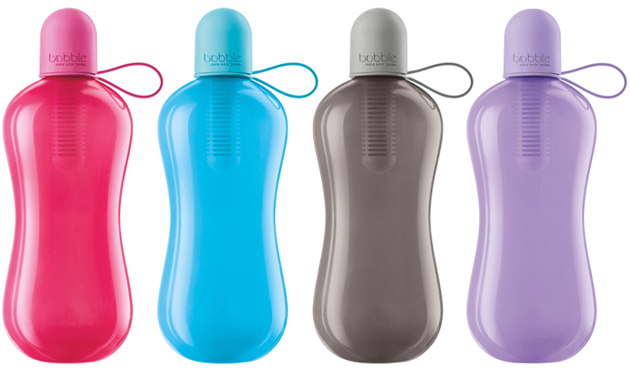 These bottles come in many colors, sizes, and styles, although I recommend the Bobble Sport because they still comes in the standard medium size but they are more colorful, dishwasher safe, and the cap is attached so you can’t lose it (unlike the normal bobble). Every month (or two, which is the recommended swap time), you purchase a new filter for about $5. Oh and you get to save the environment too. 3. 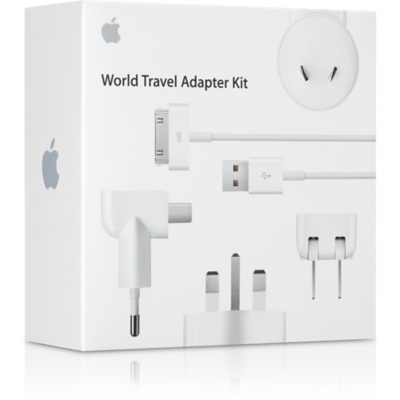 Apple World Travel Adaptor Kit, $39 includes a set of six AC plugs with prongs to fit outlets in North America, Japan, China, United Kingdom, Continental Europe, Korea, Australia, and Hong Kong and works with the iPod, iPhone, iPad, Apple MagSafe Power Adapters (for MacBook and MacBook Pro), Portable Power Adapters (for iBook and PowerBook), and AirPort Express. Trust me – you just dumped big bucks into your Apple iPhone and Macbook. Don’t mess it up by using some poorly converting cheap plug in another country and then blowing the whole thing to pieces. Invest in a quality converter. 4. Bentgo Bento Boxes, $15 are like handy little make-your-own TV dinners, just without all of the fake food. 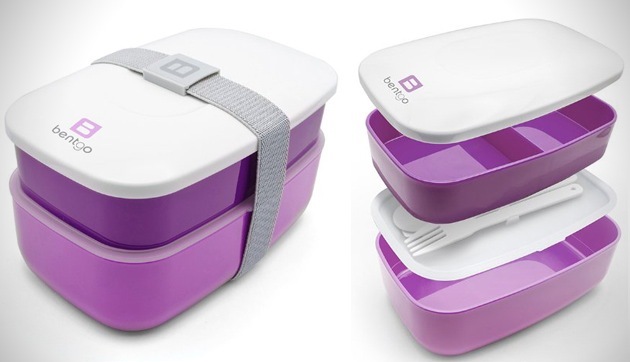 These cute, streamlined compartmentalized boxes make creating meals for the road a lot less messy than your standard cafeteria-style lunchbox. 5. SearchAlert Locks, $20 are the kind of thing that you think you don’t really need until you’re in a hostel in Scotland sharing a room with a convicted felon. 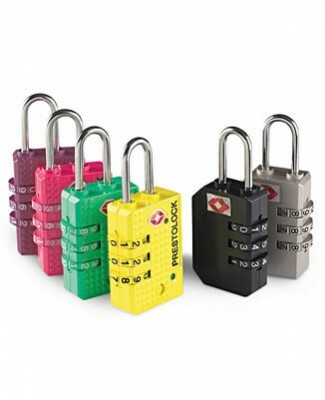 These handy resettable combination locks also change color from green to red if the locks have been opened outside of your presence. I wish the Bentgo Bento Boxes were available in the UK!